Are you looking for the best crib mattresses for babies in 2019? If so, then you’ve come to the right place, because our experts have been tirelessly researching and reviewing the top crib mattresses for your new arrival. We’re totally passionate about finding the perfect mattresses to help your baby sleep safely and soundly. Why does a baby crib mattress matter so much? The truth is, many new parents spend a lot of time and money shopping for the perfect crib, without realising that the mattress is also extremely important. A high-quality crib is vital of course, but a mattress is just as key when it comes to safe and healthy sleeping. A good crib mattress helps to significantly reduce the risk of Sudden Infant Death Syndrome (SIDS) in young babies and gives your little one the right level of support for normal bone and muscle development. To take the stress out of buying the safest mattress for your baby, our experts have created a handy buyers’ guide and reviewed the 10 best infant mattresses of 2019. 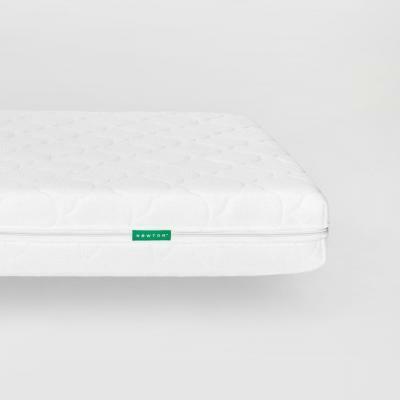 OUR TOP PICK: If you haven’t got the time to read our buying guide, then we suggest you take a look at the Colgate Eco Classica III, a fantastic Dual firmness Eco-Friendlier crib mattress that comes with an organic cotton cover. When it comes to buying any important product for your baby, there’s nothing like a little shopping inspiration to get you started. Given how important this purchase is, it’s understandable to feel a little daunted and confused. After all, there are so many products out there to choose from! This is where expert advice can be a real godsend. We’re here to take the mystery out of shopping for a infant mattress so you can buy with total confidence and peace of mind. Here are the latest reviews of the 10 best baby mattresses for Cribs and Toddler Beds. 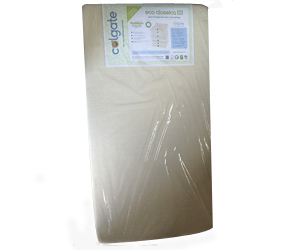 The Colgate Eco Classica III is one of the best rated crib mattresses out there, earning it the top spot on our top 10 list. If the name rings a bell, don’t worry! This dual-sided mattress is made by an entirely different company from the one that makes toothpaste. Unlike their minty-fresh name might suggest, Colgate actually have an awesome reputation for making high-quality mattresses that stand the test of time while providing a healthy and safe sleeping surface for babies. So, let’s take a closer look at what makes the Colgate Eco Classica iii Crib Mattress so great. 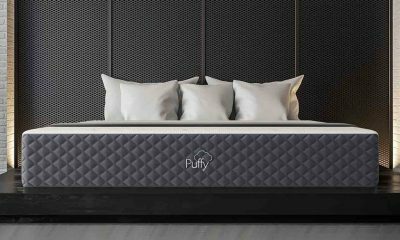 Certi-Pur and GREENGUARD Gold certified: The mattress is made with Certi-PUR-US certified ecologically-friendly foam comprised of plant oils. This certifies that the mattress has been manufactured without the use of potentially harmful toxins. Furthermore, it is GREENGUARD Gold certified. But what does this mean? GREENGUARD is an independent certifying body, and any product carrying the certification is guaranteed to emit extremely low levels of toxic chemicals. This provides great peace of mind to new parents. Organic, waterproof cover: Importantly, this mattress includes an organic cotton cover with a waterproof backing. As any seasoned parent will tell you, waterproofing makes keeping the mattress clean and germ-free much easier. So, you won’t need to worry about the inevitable leaks and spills that come with every baby seeping into the mattress and becoming a potential health hazard. Dual-firmness: The Colgate Eco Classica III has two different firmness levels, one on each side. Dual firmness is a real plus, as it has a firm supportive side for infants and a less firm, uber-comfortable toddler side. This recognises the fact that your little one’s needs will change as they grow and develop, and saves you the hassle of buying a new mattress until your child graduates to a regular bed. Not only does this cut down on waste, but it saves you money in the long run too. This Newton Wovenaire is our #2 best toddler crib mattress that’s just as suitable when your baby grows into a big, bouncing toddler. This is one of the best breathable mattresses which helps newborn baby to reduce the risk of SIDS. We just love a product that does double the work to save you time and money. This dual capability is partly down to its clever construction. The mattress core is primarily made up of air and is the right firmness for infant and toddler. The rest of the mattress is comprised of food-grade polymer and a three-dimensional fabric cover. So, what makes this mattress best for toddler & baby? Let’s delve a little deeper into the Newton Wovenaire crib mattress to find out. Hypoallergenic: This mattress is designed without any of the nasties you’d prefer to keep out of a baby’s sleeping environment. So, it doesn’t contain any glues or allergens that could trigger a reaction in small children. Especially when your child is very little, it’s reassuring to know that their sleeping environment is hypo-allergenic. Washable: For starters, this crib & toddler mattress is easily washable and recyclable. You can unzip the cover and wash the entire mattress to maintain flawless hygiene. Given the inevitable amount of mess that comes with a new-born, any parent will tell you that this is super-important! Give the mattress a regular wash and you’ll extend its lifespan, allowing it to provide comfort for your baby for years to come. Breathable: Not only is this mattress exceptionally comfortable, but it actively reduces the risk of SIDS. Luckily SIDS is extremely rare, but it’s important to do all you can to keep the danger to a minimum. The breathable design allows babies to breathe directly through the mattress, greatly reducing the chances of suffocation. Additionally, this toddler mattress is designed to promote air circulation, which prevents your child from overheating and becoming soaked in sweat. As overheating can be dangerous for babies and young children, it’s great that Newton Wovenaire have addressed this particular risk in their design. Sealy soybean foam core crib mattress is one of safest infant mattresses of 2019. It has a lot of excellent reviews, and we love it too. You might ask, why is this mattress so perfect for very new born infants? This is all down to the high-quality products and manufacturing techniques used by Sealy to make this mattress.It’s made with a special, eco-friendly and ultra-comfortable material called ‘Feel Good Foam’ and is highly durable. In fact, it’s one of the best choices if this is your first child and you want something that will last well enough to be used by future babies. So, let’s review the features of this mattress in more detail. Great firmness and support: This mattress has the perfect level of firmness for a new-born baby, earning it its place in our Top Ten. 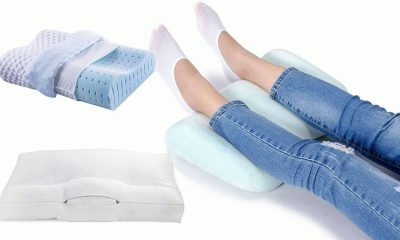 The super-firm foam may feel hard to an adult’s tastes, but young babies actually benefit from a mattress this firm as it gives them the support they need to grow healthy joints, bones and muscles. This level of support is suitable for babies and toddlers weighing up to 60 pounds. 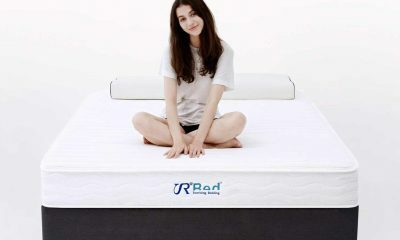 Natural and eco-friendly: The Sealy Soy Bean Foam Core mattress is made from natural soybeans grown in the good old USA. This is a renewable resource, so it makes a minimal impact on the environment. 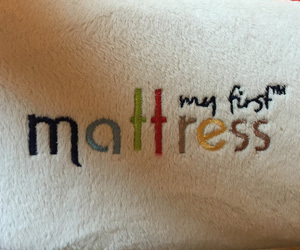 Mattresses made of natural materials like this are best for young children because they do not contain any toxins such as mercury, lead, phthalates or potentially harmful flame retardants. Waterproof and stain-resistant: This mattress has a long-lasting, waterproof, stain-resistant and pearl-embossed cover. The lock-stitch style bonding stops liquids from reaching the mattress itself. Therefore, it’s a breeze to keep this mattress clean, dry and germ-free. 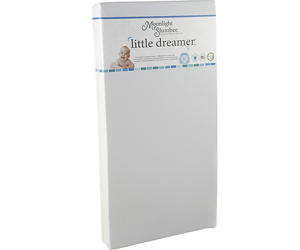 As well as having the cutest name ever, the Moonlight Slumber Little dreamer will ensure your baby sleeps soundly. This mattress is dual-sided, providing ample comfort for your little one as he or she grows. 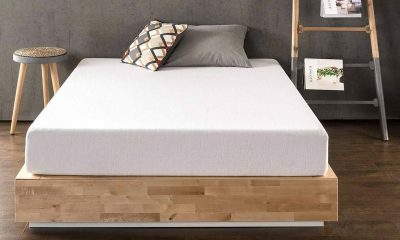 Add in the fact that this Moonlight Slumber mattress is GREENGUARD Gold Certified and made in the United States, and it’s easy to see why parents across the country are raving about this mattress. Let’s take a look at the key features of the Moonlight Slumber Crib Mattress in more detail. Strong side stitching: This mattress boasts strong and sturdy side stitching. Why is side stitching a good choice? Well, as the seams are on the sides, there are no crevices to trap any yucky spillages. Therefore, mold and moisture can’t build up. Furthermore, side stitching means a smooth surface, which equals excellent comfort for a very young child. 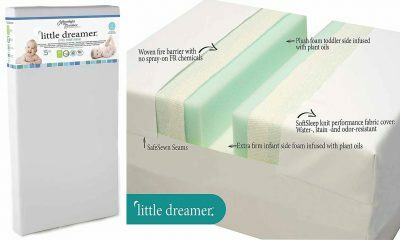 Dual-sided: The Moonlight Slumber Mattress is dual-sided, which means that there’s a firm side suitable for a new baby and a softer, plusher side that’s more comfortable for a toddler. This means that you won’t need to splash out on a new mattress when your baby graduates to toddlerhood. So, when you buy this product you really get more bang for your buck. Toxin-free: This mattress is antimony free, which is now banned in many states. It is also free from phthalates, vinyl, PVC and polyethylene. Therefore, it’s a super safe sleep mattress for any new baby. This is backed up by its GREENGUARD Gold certification, which gives new parents the reassurance that this product doesn’t release harmful levels of any chemicals that could be bad for their baby’s health. Many adults swear by the comfort of an innerspring mattress, so it stands to reason that you may want the same for your little one. Innersprings have the advantage of being breathable with that familiar ‘bounce’ that many of us known and love. This Simmons Kids Beautyrest mattress is built with 231 luxury pocketed coil springs that provide a good level of support for any baby. 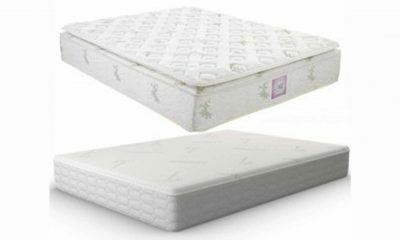 When it comes to innerspring crib mattresses, this is the one that we would ultimately recommend to our readers. Let’s find out why. Durable and stable: The Inno foam corner protectors, combined with the reinforced border protection, increase stability to ensure your little one is absolutely comfortable. These reinforced borders and corners also help the mattress to maintain its shape, helping it to stand the test of time. Chemical-free: Luckily, this mattress is an excellent choice for safer sleeping. The mattress is surrounded by a cotton fire-protection wrap that is free of all potentially harmful chemicals. It is non-toxic and meets/surpasses all federal flammability standards. The stain-resistant cover even has a medical grade waterproof barrier to boot. Dual-purpose: The Simmons Beautyrest Mattress’ dual-purpose design provides the optimal level of firmness for new-borns as well as toddlers. We love these types of mattresses because you will ultimately get a far longer life out of the product. Are you looking for a good memory foam mattress for baby crib? In that case, My First Mattress is a great option for both safety and comfort. This pure natural memory foam mattress is made up of a memory foam layer, a supportive base layer and a fabric cover. It measures 51-5/8″ x 27-1/4″ x 5″, so it will fit perfectly into standard cribs with no gaps. Furthermore, it has been extensively tested by hundreds of real buyers and has gained the seal of approval from new parents just like you. Let’s find out why! 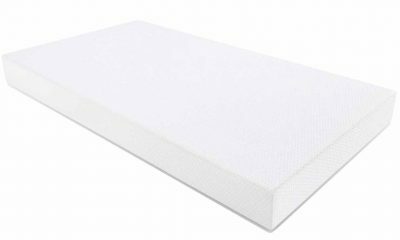 Non-toxic and hypoallergenic: Made with CertiPUR-US certified flexible polyurethane foam, the manufacturing process used to make this mattress do not use any toxic chemicals that could cause health problems for young babies. The mattress is also hypoallergenic, anti-microbial, mite-proof and free from of lead and phthalates. Premium memory foam: The mattress foam is “premium memory”, allowing for a restful night of sleep. Memory foam means that is can adapt to the weight and shape of your baby to give their body more tailored support. The result is a quiet and comfortable mattress. 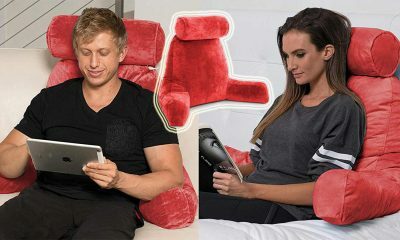 Waterproof and washable velour cover: All this is finished off with a super-soft and cozy velour outer cover that is washable and waterproof, giving great protection to the memory foam underneath. Babies inevitably come with spills and leaks, so it’s great that you can wash the cover easily to keep it fresh and sanitary. These are some of the cheap crib and toddler mattresses that we saw in 2019. Millard is an another good infant mattress for babies crib. Our experts recommend it for durability and comfort, as it is an impressive 5” thick. 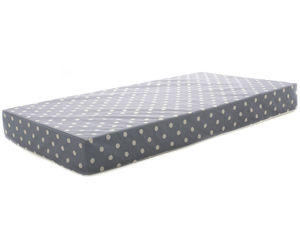 This makes it far more supportive than many other crib mattresses currently available on the market.This mattress has been designed to fit all US standard cribs and it’s a reassuringly snug fit. In fact, you’d expect a mattress of this quality to come with a hefty price-tag. However, Milliard offer this mattress at a cost that shouldn’t break the budget. Read on for more key features. Free from harmful chemicals: Worried about harmful toxins and chemicals? The Milliard mattress uses no phthalates, lead or toxic flame retardants in its construction. As these substances can present a significant risk to your baby’s health, it’s great that Milliard have eliminated them from their infant bedding. 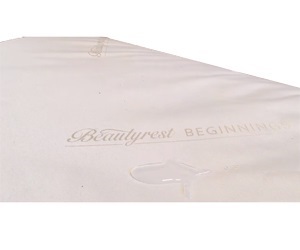 Removable, waterproof cover: The cover on the Milliard crib mattress is removable, making it far easier to remove stains and clean any unpleasant leaks. It’s also waterproof, so nothing can seep through to the padding underneath and cause hygiene issues. As any seasoned parent will attest, this is a major advantage in a crib mattress! Hypoallergenic: The mattress is completely hypoallergenic, and it is one of the most comfortable mattress for newborn baby and toddler. As so many children suffer from night time allergies, this is important to help avoid bedtime sneezes and snuffles and to ensure an uninterrupted night’s sleep. This also makes the mattress highly suitable for babies and toddlers with asthma or other skin conditions. Any new parent will tell you that buying everything you need for a new-born can get pretty expensive. 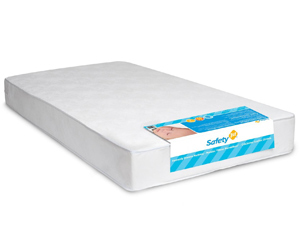 When you have a low budget but want to buy a safe crib mattress, you should consider this infant bed mattress from “Safety 1st” as one of your top options. It offers the best health and safety features and is highly rated by users and experts alike, all for a budget-friendly price. This makes it ideal for safety-conscious parents that don’t want to spend a fortune. Waterproof, wipe-clean cover: For convenience, this mattress has a vinyl cover that you can wipe clean with ease. This cover is waterproof to boot so you won’t have to expend a ton of energy in wiping up your baby’s mess in the middle of the night. Durable construction: This hypoallergenic mattress is made with a high density, fiber thermo-bonded core for solid support. As it’s equally suitable for new-borns and toddlers alike, the mattress has been built to stand the test of time and can be used across the entirety of your little one’s development. Non-toxic: Also, the Safety 1st Heavenly Dreams does not contain any lead or phthalates. It has earned the GREENGUARD GOLD Certification, meaning it meets very stringent standards for low emissions of volatile organic compounds into your indoor environment. 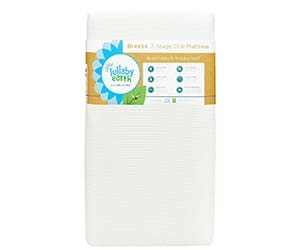 Lullaby Earth Breeze 2 is a great quality baby mattress by the Naturepedic brand. Naturepedic is a newcomer in the mattress industry that is offering a genuine alternative to the polyurethane, PVP and chemical based mattresses which dominate the market. Their products are completely organic, using only materials found in nature. Another gorgeously-named product, the Lullaby Earth series is fully certified for both infants and toddlers. So, why do we love the Lullaby Earth Breeze 2-Stage crib mattress so much? Let’s take a quick peek at the product’s key features. Dual-sided: The dual-sided mattress can be flipped, with one side firmer than the other to give a firm level of support ideal for a new-born baby. The other side is plusher, making it very comfortable and suitable for a toddler’s needs. So, there’ll be no need to splash out on another mattress for your child until they move into a regular bed. Breathable design: This mattress has been specially designed with a honeycomb-structured interior, which promotes airflow. Not only does this lower the risk of suffocation, but it also helps to keep them at a safe and cool temperature while they sleep. As overheating can be very dangerous for young babies, it’s great to see that Naturepedic have addressed this in their design. Edge support: One the most impressive features of this mattress is its edge support. The US standard sizing fits snug with the edges of a crib, whilst the edges are firm to prevent bouncing toddlers from slipping down the sides. This edge support prevents the mattress from losing its shape and prolongs its overall life. An expensive mattress this may be, but the sturdy design makes it a good value investment for new-borns. Thinking of going organic? No, we’re not talking about fruit and veg! We are talking about an Eco-friendly baby mattress by the Naturepedic brand. Our experts love this mattress because it’s high quality and extremely well-made. Although it may sound a little odd to opt for organic bedding, there’s sound reasoning behind the decision. Organic products have to meet strict manufacturing guidelines, meaning that they cannot use toxic or potentially harmful materials and still refer to themselves as ‘organic’. When it comes to vulnerable babies, it’s easy to see why an organic mattress gives parents a little added peace of mind. However, its organic label isn’t all this mattress has to offer. 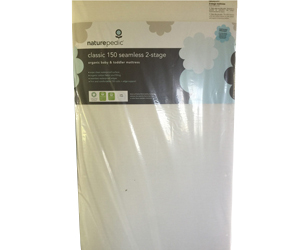 Let’s take a closer look at the Naturepedic No Compromise crib mattress. Dual-sided: This mattress has a firm side designed to meet the needs of small babies. This prevents them from sinking into the mattress while providing a great level of support for their growing bodies. Meanwhile, there is a softer side so you can simply turn the mattress over when your baby grows into a toddler without buying a whole new mattress. For the avoidance of any confusion, the firm side is clearly labelled so you can easily identify which side to use. Wipe-clean cover: The cover of this mattress is designed so that you can wipe off spills and stains easily just using wet wipes. Any time-strapped parent will tell you that this feature is an absolute god-send. It also means that you won’t need to remove and launder the whole cover every time there’s a spillage in order to keep the mattress in a hygienic condition. Square and sturdy corners: This mattress boasts square corners that are sturdily made. These fit very snugly right to the edges of a standard-sized crib, so babies and toddlers can’t get stuck between the mattress and crib sides. This is very important as gaps in these areas can be extremely dangerous. This makes the mattress especially suitable for fidgety kids who roll over a lot during the night. How to Choose a Good Baby Crib Mattress? Hopefully, you’ve already got plenty of inspiration from our Top 10 product reviews to help you choose the very best mattress possible for your baby. However, we recognize that there are many, many infant and toddler mattresses on the market which you may also be considering. For this reason, it’s important that buyers are able to distinguish a fantastic mattress from a not-so-great product. This is even more important if you’re buying for a vulnerable new-born baby, so it’s not surprising that many new parents feel anxious about this important decision. Luckily, our experts are at hand to explain just how to spot a really good (and safe) mattress for your newborn babies. Just check for these 10 key features, and you can be sure that you’re buying a product that’s healthy and suitable. Never forget to check out expert and user reviews of products to make sure the claims stack up! Perhaps the first thing you’ll notice when you pick up a mattress is its cover. Although it will be covered with sheets, it’s a good idea to select a product with a soft and cozy cover that will be comfortable for your baby to sleep on. The cover should be removable and washable so that you can keep the mattress clean and sanitary. Some mattresses also come with specially-designed wipe-clean covers, so that you can simply wipe off minor spills without going to the trouble of laundering the entire cover. This can save you a lot of time, especially in the early days when you’re exhausted! A mattress which is not dense enough may develop ‘dips’ in areas and will become uncomfortable for your baby to sleep. You should also make sure that the mattress you are choosing is reasonably lightweight, which will help you in turning the mattress over when needed or taking it to other rooms along with the crib. This also makes sheet changes much easier- and trust us, you’ll be doing plenty of those! If you’re buying a mattress in-store, you should hand-test the firmness yourself. Using the palm of your hand, push down on the mattress firmly. If it springs back, the quality is likely to be better. Avoid buying the mattress that feels comfortable to your own tastes. A baby needs a very firm mattress to avoid the risk of SIDS and for their muscular-skeletal development. Therefore, a suitable baby mattress will probably feel too hard to you- but don’t worry, it’s what your baby needs! If you’re buying online, check expert and user reviews to make sure that the mattress is really firm. Aim to purchase a mattress that has been manufactured without the use of toxic chemicals. Nowadays, many consumers prefer an eco-friendly mattress with an organic cotton cover for a baby or toddler. Organic means non-genetically modified, but it doesn’t mean the whole mattress is organic. 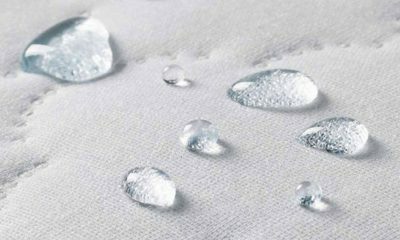 Keep in mind that cotton is not waterproof, but only water-resistant. Mattresses featuring with these materials are expensive, but they are safe and toxic-chemical free. Certifications such as Certi-Pur or GREENGUARD Gold also give you peace of mind that the mattress has been manufactured without the use of any toxic chemicals. Obviously, mattress size is one of the most important things to ensure the safety of your baby. When it comes to the size of the mattress, it will mostly depend on the size of the crib. The United States Consumer Product Safety Commission (CPSC) report states that the interior crib dimensions must be 28 5/8 inches wide and 52 3/8 5/8 inches long in order to comply with their regulations. Therefore, standard sized crib mattresses should be 27 1/4 inches width and the length needs to be 51 I/4 inches. To ensure safety, make sure the mattress fits flush to the side of the crib. Any gap between the crib sides and the mattress can pose a serious risk to new-born babies and toddlers alike. Ensure that the gap is not more than 1.25 inches. When it comes to thickness it needs to measure 6 inches. Why are gaps so important to avoid? 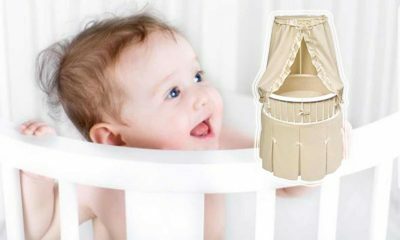 Babies and toddlers can actually become stuck between the mattress and the sides of the crib if the gaps are too large. This can lead to serious injury or even suffocation, so this is one of the most important factors to check out. It is also important to look the manufacturer’s website and on the product label for specifications and descriptions. The law states that the manufacturers are required to list all materials on the label. Better labels include the mattress’ components by layer. If you like to buy online, you should know the available features on the mattress so that you can compare products and select the ideal one. You should buy a waterproof mattress (or at the very least one that is water-resistant) to avoid mold developing due to moisture. 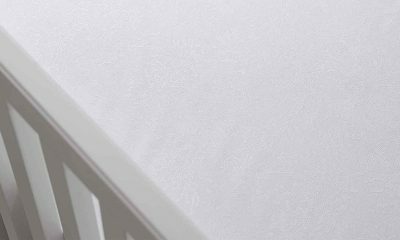 As it’s pretty hard to avoid leaks onto a baby mattress altogether, there is a possibility that mold could grow within just a few days. Mold looks unsanitary, smells unpleasant and is dangerous for a new-born baby or toddler to inhale. Spills seeping into the mattress can also lead to a dangerous build-up of bacteria and potentially cause infection in your child. If the mattress doesn’t have a waterproof cover, you’ll need to buy one separately. Ideally, pick one which can be put through the washing machine so it’s easier to keep clean. Think you need to spend a fortune to buy a great crib mattress? Not true! In fact, you can buy a high quality baby bed mattress with a restricted budget. There’s a persistent myth that cheap cribs and mattresses are bad, but this is misleading. Many parents are persuaded to spend more than they really need to on their baby’s mattress through guilt, but as long as the mattress you buy is safe and comfortable, your baby will be perfectly happy. However, if you want something specific or more technologically-developed, then you might need to spend extra. All mattresses are safe for small babies if they meet the crib safety standards of the USA. They need to go through a rigorous testing procedure before introduction to the consumer market. Some companies also use chemical flame-retardants. Additionally, they use certain fibers, wool, acrylics, and organic materials that meet the safety standards. If you are prepared to spend more for your newborn and want to buy a non-toxic crib mattress then you can go for an organic model like Naturepedic No Compromise. These materials are extremely safe and do not use chemicals in the manufacturing process. If you are buying any organic mattress, then make sure that it is GOTS certified. Consider the largest GOTS certification, OTCO. All these certifications are important to ensure the safety, durability and comfort of the products. What Kind of Mattress is Best for a Baby? This is a question we’re asked all the time, and for good reason. All parents want the best for their child, and the range of products available can be truly baffling. 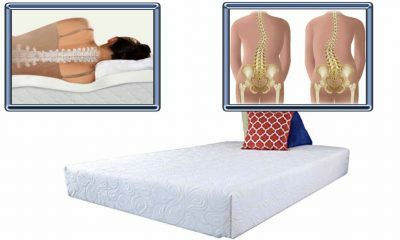 A good foam mattress should be comprised of a high-density polyurethane foam core. This core should hold 1.5 pounds per cubic foot. If it holds more pounds per cubic foot, its core is considered firm. If it holds a lower number of pounds per cubic foot, the core will prove softer. Though there are bonded polyester fiber cores that are quite cheap compared to foam, they are not high-density enough for a baby. In general, foam mattresses are lightweight, tipping the scales at a mere 8-13 pounds. Innerspring mattresses give a great level of support provided by steel coils. Ideally, the coils should be positioned close to one another in a crib mattress, allowing for a firm surface that’s safe and comfortable for a new baby. Most people look for low gauge steel, meaning the steel has more girth. The cushioning layers of innerspring mattresses are usually comprised of polyester that has been recycled from plastic water bottles. It is referred to as PET. 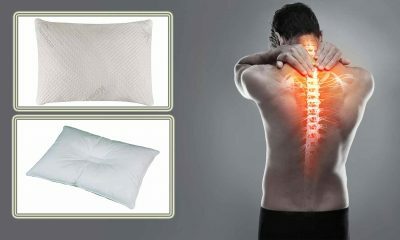 This material functions as a hypoallergenic cushion. Organic baby crib & toddler mattresses typically cost more than the foam and innerspring varieties. It is important to note that the vast majority of organic mattresses are not actually made of 100 percent organic materials as many contain plastics and steel. Yet, organic cushioning and/or an organic cover provides many parents with invaluable peace of mind. They give parents the benefit of knowing that their child is as far away from chemicals as possible during sleeping hours. They may be a little more expensive, but many parents feel the investment is worth it for the reassurance they provide. However, just make sure the mattress you select is built with another more firm material so the mattress maintains its shape as time progresses. 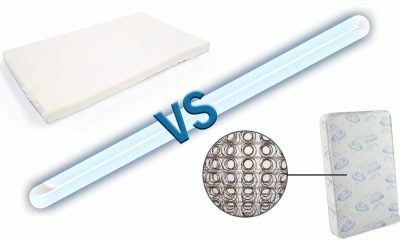 Some have complained that organic mattress cushions do not bounce back to their original form as well as some other fiber mattresses. Add in the fact that organic mattress covers are not waterproof and it is easy to see why plenty of parents opt for foam or innerspring. The main decision you will find yourself making when shopping for a crib mattress is whether to opt for a foam or innerspring model. Provided that they are waterproof, foam or innerspring mattresses are equally suitable for babies and toddlers. 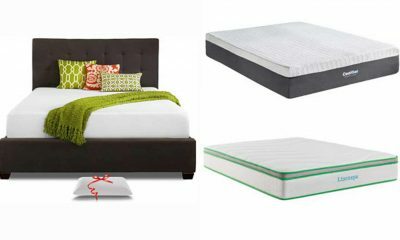 The more popular of the two tends to be the spring mattress because this is what most adults sleep on. However, foam crib mattresses are still an excellent option. Some foam models come with unique benefits such as being organic. Generally speaking, a coil mattress will last longer than a foam mattress. That being said, it comes with the caveat that they are heavier and tend to cost more. 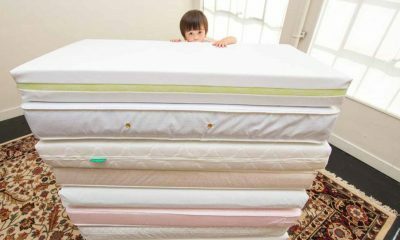 If you’re looking to buy a mattress that will last until kindergarten, a coil mattress is the good one. Foam mattresses, although less durable, will provide a little more comfort. They’re affordable and lightweight which makes changing the sheets that little bit easier- it’s these little things that really matter as a parent. You can get also get organic foams for a reasonable price which have less toxins. 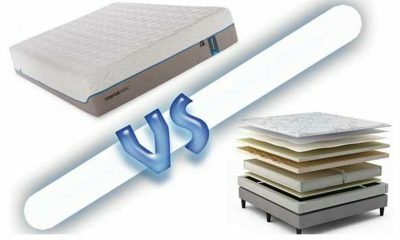 Want to find out more about how innerspring and foam mattresses compare? Check this article. Babies and toddlers spend a considerable amount of time sleeping, and there is a reason for that – enough quality sleep gives your young one a chance for proper growth and development. That’s why parents often have lots of questions when buying a mattress for their baby or toddler as they want one that guarantees great comfort and health. Shifting from a crib to a big-kid bed is a significant transition, not only for a toddler but their parents as well. The right mattress for your toddler has to be firm to support the weight of your young one without sacrificing on comfort. The firmness of any mattress is determined the Indentation Load Deflection rating which varies from 12 to 50. Anything above 36 is a firm-enough mattress for your toddler. How to pick a mattress for a toddler? Choosing the right mattress for a toddler requires that you pay attention to various factors such as their bed size, mattress materials, firmness, coil count, and warranty. Ensure that the mattress fits their bed and that you choose a mattress made from natural material such as silk. A high-quality mattress should have a high coil count and a solid warranty of 5 to 10 years. Before making up your mind to buy a particular mattress, consider reviews from other buyers, or work with recommendations. What type of mattress is best for a baby? Both innerspring and foam types of mattress offer excellent support for your baby. When choosing your mattress, however, you should consider getting a high-quality one that will remain in good condition for extended periods. Remember that for the innerspring type, the factor that matters the most is the number of coils – the higher the number of coils, the higher the quality of the mattress. Where to buy baby bed mattress? You have several options when buying a baby mattress; these options are, however, mainly categorized into Online and Brick-and-Mortar retailers. A local mattress store can be a good option for those who are used to touching and seeing before making a purchasing decision. Online retailers, on the other hand, should be ideal for someone who’s quite busy or doesn’t wish to visit a store to make their purchase. However, you must research carefully when buying online, and always take reviews from other buyers seriously. What size is a baby mattress? The federal government, through the Consumer Product Safety Improvement Act of 2008 specifies the minimum baby mattress size as 27¼” x 515/8” with the thickness not being more than 6 inches. Whatever the case, the goal is to ensure that the mattress fits snugly in the crib. You can ensure that by fitting two fingers between the frame of the crib and mattress side. If the space seems to fit more than two fingers, then the mattress is smaller than should be. What to look for in a baby mattress? The main things that you want to look for in a good baby mattress is cushioning support, waterproof ability, firmness, breathability, weight, manufacturer (consider buying a mattress made by a renowned manufacturer), high-quality seams, excellent support, double-sided functionality (one side meant for toddlers and the other for infants), and lastly, consider buying an organic mattress as they are less toxic. What size mattress fits a toddler bed? A toddler’s bed mattress is more similar to that of a crib, as far as the size is concerned. Some parents even choose to use the crib mattress so long as it fits on the new bed. In general, however, a baby’s mattress should be roughly 27” wide and 52” long. Just be sure that there is no much space between the side of the mattress and the bed frame. What is pillow top toddler mattress? A pillow top toddler mattress is not so different from the normal mattresses. To get a clear picture, a pillow top mattress is just a regular mattress that has plush padding sewn on its surface to guarantee better comfort and support. It like placing an additional layer of a large soft, comfy pillow or comforter on the surface of the mattress. The major of such a toddler mattress is that your young one generally feels more comfortable when sleeping. How much does a good baby mattress cost? One fantastic thing about buying a mattress for your baby is that you don’t have to spend a fortune, to get a high-quality mattress. A high-quality mattress that will serve your baby well typically costs between $90 and $200. One thing that you want to keep in mind, however, is that the more expensive mattresses are of a higher quality while low-priced models are more often soft and flimsy. How big is a baby bed mattress? The size of the mattress for your baby’s bed should be at least 27¼” x 515/8” with a maximum thickness of 6 inches. The most important thing when fitting the mattress into your baby’s bed is ensuring that the mattress fits snugly so that not much space is left between the sides of the mattress and those of the bed. How firm should a crib mattress be? According to consumer reports, a crib mattress should be firm enough so that if you press the center of the mattress using your hands, it readily snaps back without conforming to the shape of your hand. Therefore, a mattress should be just firm enough to resist the impression of a hand if you press on it. It should seem firmer than you think is comfortable for the baby, but the truth is that babies require a firmer surface for good sleep. How big is a toddler mattress? A toddler’s bed mattress does not differ much in size from a crib mattress, which is why most parents even choose to use their baby’s bed mattress when they move to a big-kid bed. Typically, toddler mattresses should be 52 inches long and 27 inches wide to fit their bed snugly. If you decide to use the crib mattress on a toddler’s bed, however, you should ensure that it’s still in good condition. How to make crib mattress softer for toddler? 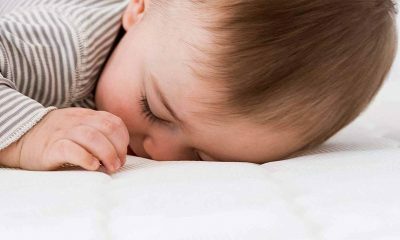 Making the crib mattress softer for use by your toddler has several benefits, such as saving you some cash, saving you the hustle of getting a new mattress, and others. That’s especially beneficial if the mattress you bought does not have a toddler side. To make the mattress softer, you can add a comfy pad so that the bed becomes more cushioned, but not very soft for your young one. How high should crib mattress be for newborns? Most crib mattresses have an interesting feature that allows parents to raise and lower them. While this feature has several benefits, a mattress should not be left too high as that comes with various risks. For newborn babies, however, setting the mattress at the highest level is safe since such babies don’t have the capability of pulling themselves out of the crib. How to Make a cradle mattress? 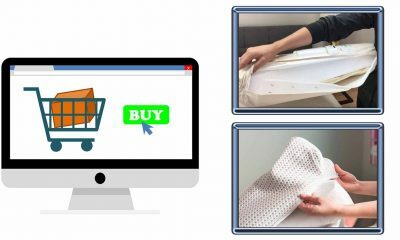 To make a cradle mattress, you first need to carefully estimate the size, using the sides of the cradle as a guide, then create a sewing pattern on the estimate. Using the pattern from the first step, cut foam into the pattern’s shape. After that, trace the edges of the foam and create a pattern to be used for shaping the fabric that will cover the foam. Once ready, stitch the fabric, and remember to sew a zipper on one side so that you can place the foam inside when done. 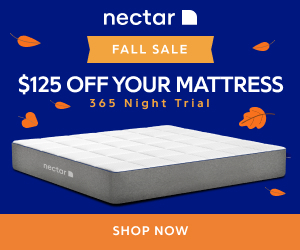 How many coils should a good mattress have? A rule of thumb is that a mattress should have a high number of coils to qualify as a high-quality mattress. For a crib mattress, anything between 135 and 150 coils should be enough to give your baby the quality sleep they need. The gauge of the coils used in such a mattress should be approximately 14.5 to make the mattress firm enough. Are used crib mattresses safe? There are a lot of horror stories out there designed to scare parents into buying a new crib mattress rather than saving money on a used one. In fact, a used crib mattress can be a perfectly safe choice for your baby. On the other hand, the likelihood of it carrying bacteria is, obviously, higher as mattresses may accumulate germs over time and use. A new mattress won’t have any of these issues, which is the reason most parents go new. If you want to accept a used mattress, make sure there are no scratches, tears or damp spots in the fabric. Then, check to see if there are any sags or dips. These cause pressure points which make sleeping at night uncomfortable, especially for babies which need extra support while their muscles develop. Finally, make sure the mattress smells fresh and that there are no nasty-looking stains or visible mold. 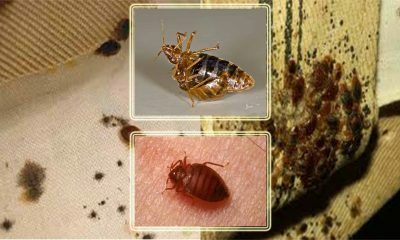 These are warning signs that the mattress is unsanitary and carries an infection risk. Want to Know More? Read The Risk of Using a Secondhand Crib Mattress. Do you need a baby mattress pad? Pads are something of a controversial topic among most parents. Many parents will go without a pad as they see it as an unnecessary expense. That may be true in some cases, but not all cases. 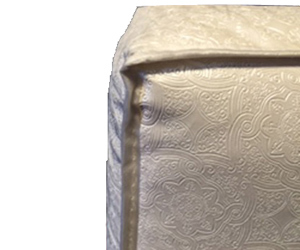 A crib mattress pad acts as a waterproof layer between your baby and the mattress. They can often help to keep your infant dry during the night, or can double up as an extra layer of warmth by covering the cold plastic exterior of your mattress. If your mattress is already waterproof, you may see less reason to invest. That’s absolutely fine. You’ll also want to consider just how hot your baby could be in the night from sleeping with a mattress pad. If your mattress isn’t waterproof, a pad is a handy way to cut down on cleaning time and to keep the mattress underneath clean and sanitary. Should I buy an organic crib mattress for my baby? The answer to this question comes down to your own personal preference and your budget. Some parents prefer to buy an organic mattress because they are non-toxic and don’t use chemicals in their manufacture. The flip-side of this is that they are far more expensive. If you can’t afford an organic mattress, don’t worry. The most important thing is that your mattress is safe. If organic is outside of your price range but you are worried about toxins, look for a mattress that is manufactured using non-toxic materials. Any product that is Certi-Pur or GREENGUARD Gold certified will fit the bill just fine. How do I buy a mattress for a non-standard crib? Some parents prefer to buy a non-standard crib such as a Moses basket or round crib for their baby. 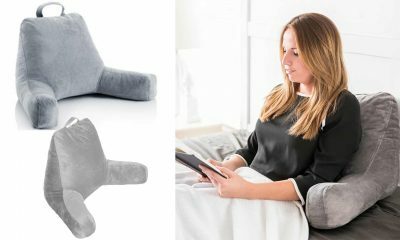 These can look super-cute and stylish, and some have the added advantage that you can place them right next to your bed for easier night-time feeds. However, the downside is that you won’t have a choice of crib mattresses. Non-standard cribs usually come with a mattress included. Alternatively, you may have to buy the mattress as an add-on from the manufacturer. This is the only way to be sure that the mattress will fit safely. Before you buy a non-standard crib, check out the product specifications and reviews of the mattress as well. After all, it’s no good buying a stylish crib if the mattress that comes with it is low-quality. In a hurry? We feel your pain. Sometimes you just don’t have time to read hundreds of reviews before you buy a product. Although every baby is unique, we believe that our top recommended mattress, the Colgate is the best crib mattress to buy in 2019. Why do we love it so much? Well, this mattress is not manufactured using any harmful chemicals and is super-safe for your baby. Any mattress that saves our readers money is popular with us, and the dual-sided design of this mattress just does that. No need to buy a new mattress when your baby becomes a big, bouncing toddler- simply turn the mattress over to the toddler side and save a little at the same time!